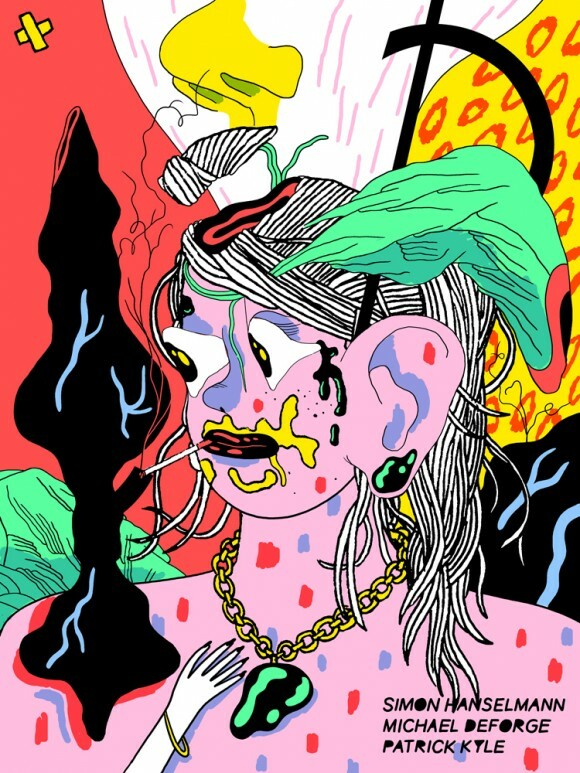 HANSELMANN / DEFORGE / KYLE ON TOUR! DEFORGE / HANSELMANN / KYLE ON TOUR! Comics’ newest supergroup is going on tour! This Fall will see Simon Hanselmann touring Megahex, Michael DeForge touring Lose #6, and Patrick Kyle touring Distance Mover! Special appearances by Noel Freibert and A. Degen (be sure to ask him about Mighty Star). More details about individual dates, concerts and talks forthcoming. Until then, mark your calendars and let the above collaboration (silkscreen available soon!) melt your eyes.